Sometimes, your donors will opt to give your CauseVox campaign a check or cash donation. 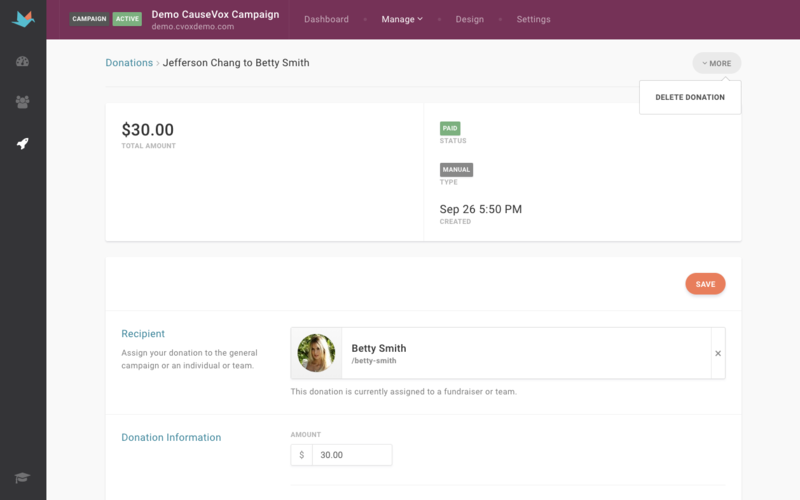 You can easily input that donation into your CauseVox campaign site so that the donation will be included in your campaign’s progress counter. Note: Donation receipts are not automatically sent for offline donations, those should be sent manually through your your own receipting. Step 1: Navigate to your campaign. 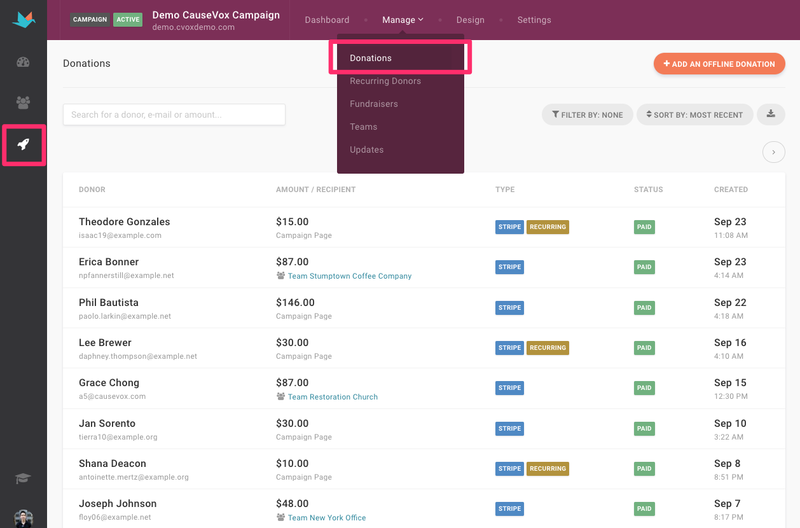 In your Manage dropdown, click on “Donations." 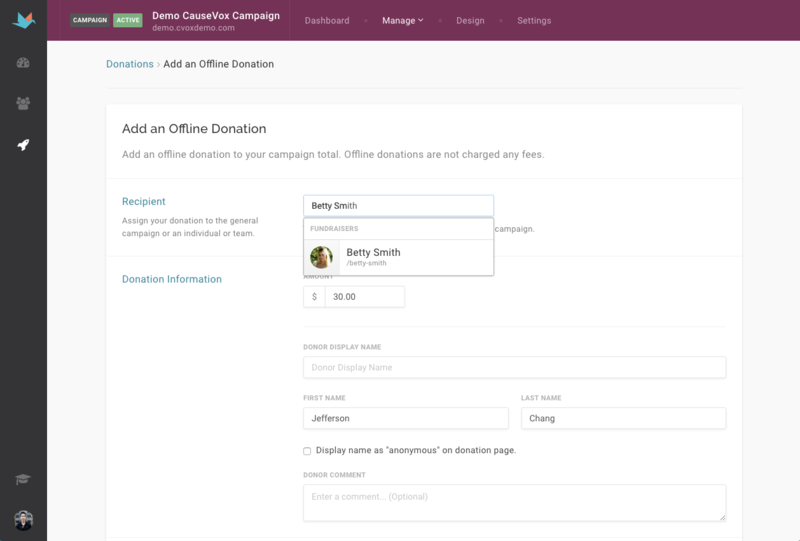 Step 2: Click on “Add an Offline Donation” on the top right hand corner of the page. Step 3: Fill in all associated donation information. Step 4: Click “Save Donation” at the bottom of the page. Your donation should now be listed among all other online/offline donations. **Note: Offline donations do not incur any transaction fees. 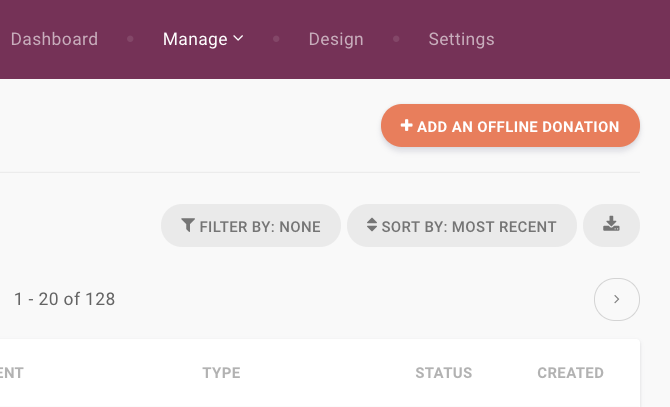 If you need to remove an offline donation, you can simply find the donation under your Donations tab and select the "More" button in the upper right corner. Then, just select "Delete Donation" from the menu to remove the offline donation.